Just about one mile from State Route 224 and South Main Street (Exit 3). 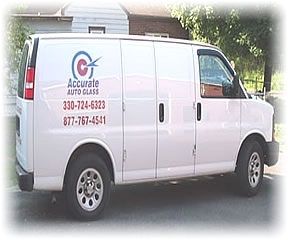 Give us a call, set up a convenient appointment and earn an additional in-shop service discount! 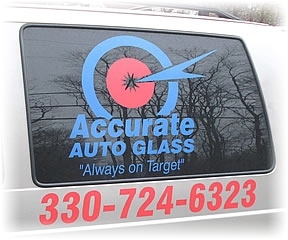 Over 45 years of in-shop and mobile windshield repair, replacement auto glass service in the Northeast Ohio area. 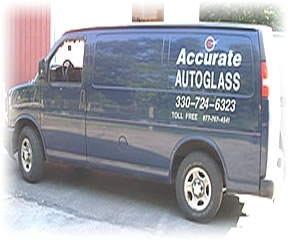 Our NGA Certified glass installation specialists will repair or replace your windshield or door glass quickly, cost-effectively, and at your convenience… wherever you are. 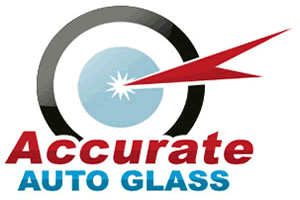 Lifetime, no-leak guarantee on all Accurate Auto Glass repairs!